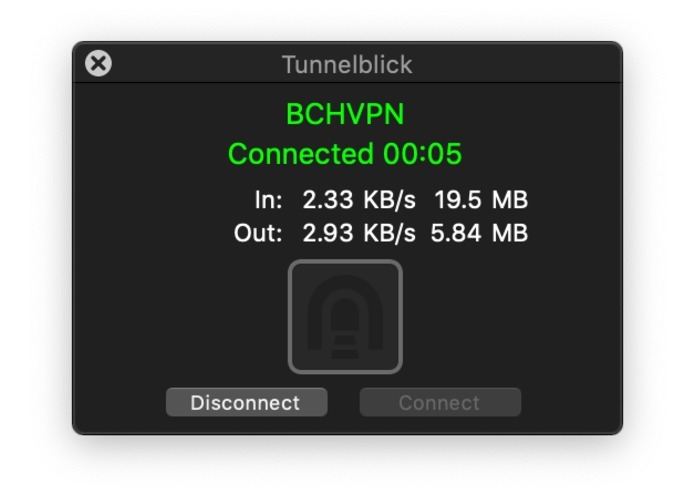 Open BCHVPN website and slide the Money Button! Started as an idea during the BCHDEVCON Amsterdam 2018. 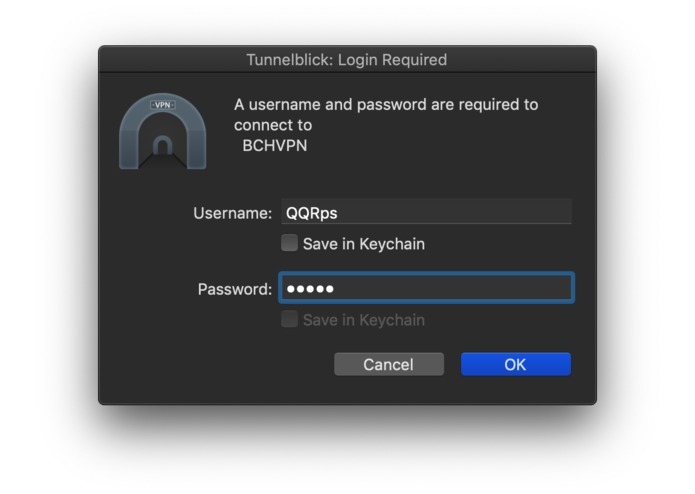 Allows you to connect to a VPN after making a payment in Bitcoin Cash. 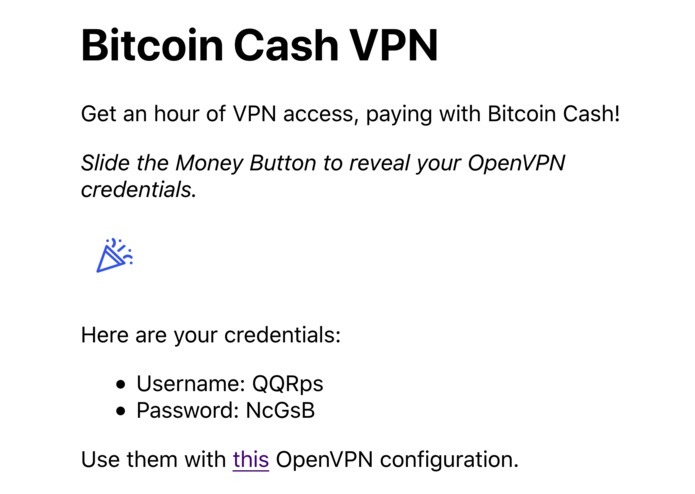 Combine Yours Inc.'s Money Button with an OpenVPN server. See GitHub for more details, and some diagrams. Finding team members. Using Node.js. Getting the Money Button webhook to work. Pitching the idea. Having a working prototype. 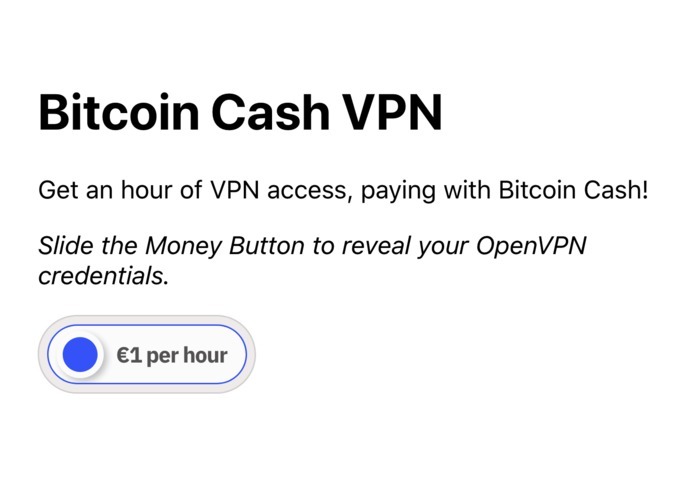 I helped to design the implementation, wrote the methods to interact with the moneybutton webhooks, and the user account automation on the vpn server.